With only a few cosmetic changes, the 2018 Porsche 718 Cayman returns from last’s years’ remake intact, which is a very good thing. The Cayman provides extraordinary performance, the latest technological features, and big grins on the twisties. The Porsche pedigree assures you of a fast-moving, road-hugging driver’s car that handle corners agilely and quickly. If you want stability and balance in a high-performance sports car, the 718 Cayman is the perfect choice. The Cayman standard engine is a 2.0-liter turbocharged flat-4 that delivers 300 horsepower and 280 lb-ft of torque though either a 6-speed manual or 7-speed PDK dual-clutch automatic to the rear wheels. The Cayman S has a 2.5-liter turbo flat-4 with 350 horses and 209 lb-ft. Porsche Torque Vectoring works with the rear differential and ABS to optimize agility and traction into and out of turns. The wider rear track results in improved core rigidity, as does a retuned suspension and stiffer damper settings. Cayman shares its electromechanical steering with the 911 Turbo, and it comes with larger brakes for drama-free stopping. 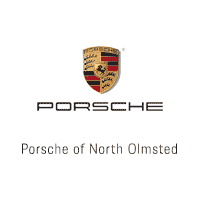 A multi-mode Porsche Active Suspension Management System is available that offers a lowered ride in Sport mode. The recent redesign featured bolder lighting elements, larger side intakes and sharper edges in the two-seat coupe. The rear quarter is aggressively styled with single or dual exhausts and an auto-extending spoiler. You have your choice of 18- or 19-inch wheels. The cockpit is friendly and stylish, with the polished finish and smart presentation you expect from Porsche. The leather seats are very supportive, the sport steering wheel multi-functional, and the dashboard intelligently laid out. The air vents have been relocated for better efficiency, and you can employ gestures to control the 7.0-inch communications management system touchscreen. The 2018 718 Cayman is equipped with 8 airbags, several electronic stability aids, tire sealant/air compressor, and complimentary roadside assistance. Front/rear park assist is standard, as are the low-tire-pressure monitor, theft alarm, ignition disable, daytime running lights, headlight washer, and LED brake lights. Available features include blind spot sensor, keyless entry/ignition, directionally adaptive headlights, cornering lights, stolen vehicle tracking, adaptive cruise control with Porsche active safety, lane change assist and Porsche ceramic composite brakes.